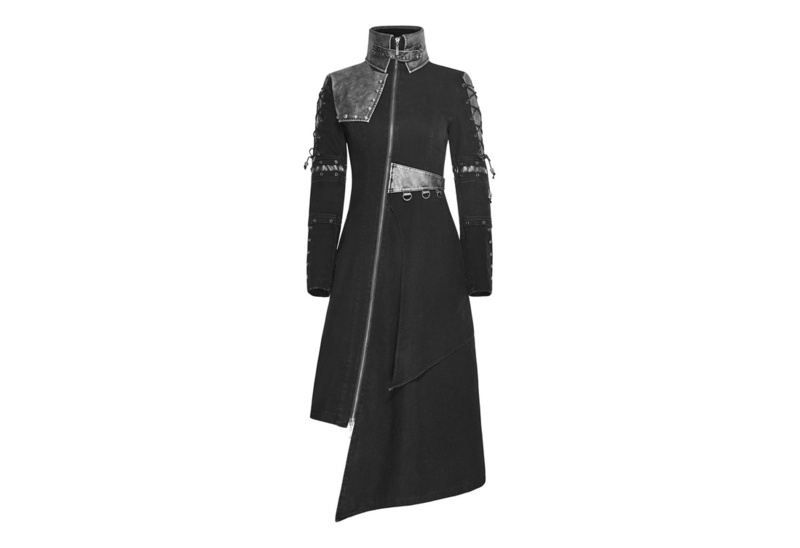 This post apocalyptic coat, the Final Encounter is an intricate coat made of cotton twill denim and faux leather. The offset of silver stonewash on black gives this coat a defined look. 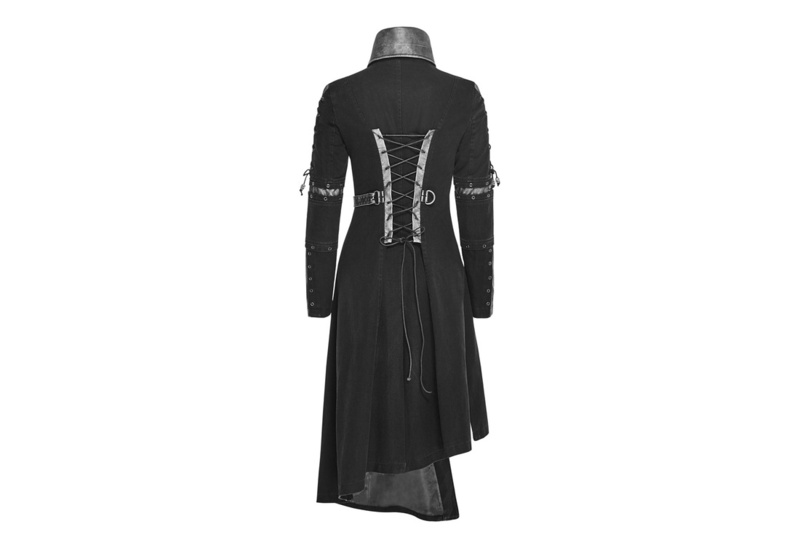 The shoulder and back have corset style lacing. 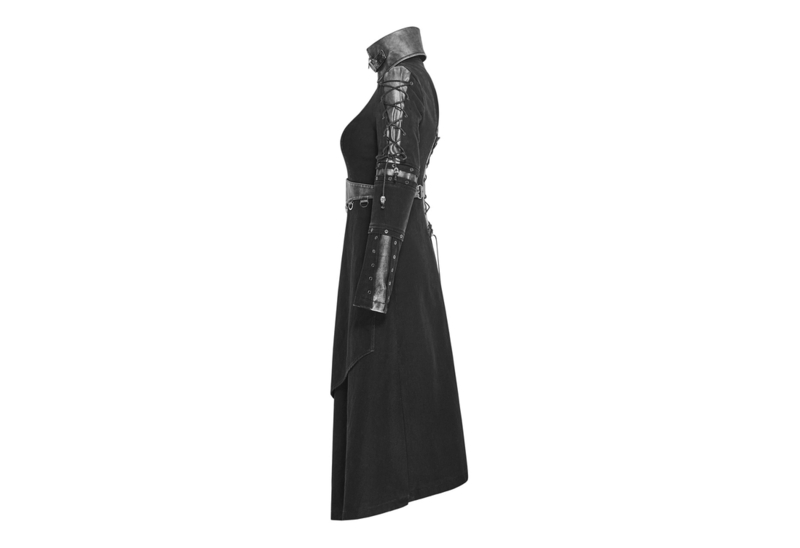 The high collar is fastened with a buckle strap. How heavy is the material this coat is made of? On a scale of light jeans to sail-cloth, where would it fall?